Keep learning, or risk becoming irrelevant. It's a truism in today's economy: the only constant is change. Technological automation is making jobs less routine and more cognitively challenging. Globalization means you're competing with workers around the world. Simultaneously, the internet and other communication technologies have radically increased the potential impact of individual knowledge.The relentless dynamism of these forces shaping our lives has created a new imperative: we must strive to become dynamic learners. In every industry and sector, dynamic learners outperform their peers and realize higher impact and fulfillment by learning continuously and by leveraging that learning to build yet more knowledge. In Never Stop Learning, behavioral scientist and operations expert Bradley R. Staats describes the principles and practices that comprise dynamic learning and outlines a framework to help you become more effective as a lifelong learner. The steps include: Valuing failure Focusing on process, not outcome, and on questions, not answers Making time for reflection Learning to be true to yourself by playing to your strengths Pairing specialization with variety Treating others as learning partners Replete with the most recent research about how we learn as well as engaging stories that show how real learning happens, Never Stop Learning will become the operating manual for leaders, managers, and anyone who wants to keep thriving in the new world of work. Please sign up to listen to the full interview of at least 40 min. How is learning from failure different in different cultures? Why do we focus on learning as an individual exercise and neglect the role played by others? Why are we unwilling to take risks that might lead to failure? Why and how may reflection help us better than practice? What makes us bad at learning? Why are we focused on the outcome and not on the process of learning? Who are dynamic learners and how can one actually learn to become one? Why do we think it is easier to learn from others’ mistakes than from our own? What can we do to increase our capacity to learn? How does process focus lead to deeper learning? 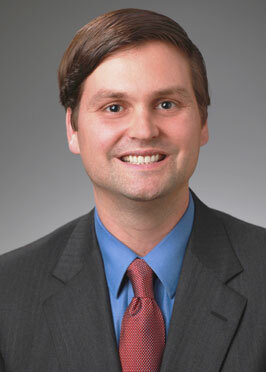 Bradley R. Staats is an associate professor of operations at the University of North Carolina’s Kenan-Flagler Business School. His work has been featured in many publications, including Harvard Business Review, Fast Company, the New Yorker, the Financial Times, the Wall Street Journal, as well as on NPR. "Once upon a time, competitive advantage belonged to the people who knew the most. Now it accrues to those who know how to learn the most. In his new book, Brad Staats skillfully takes you through the latest evidence on how to accelerate your learning at work." "Now more than ever, the best leaders know they need to be lifelong learners in order to stay ahead of the curve. Never Stop Learning is packed with powerful insights and tips to help you master the art of learning." "If we are to succeed in this ever-changing environment, then learning and adapting is absolutely critical. In this book, Brad Staats unpacks the science of why we don't learn at work and compellingly shows us how we can do better. A vital guide for thriving in the twenty-first century."